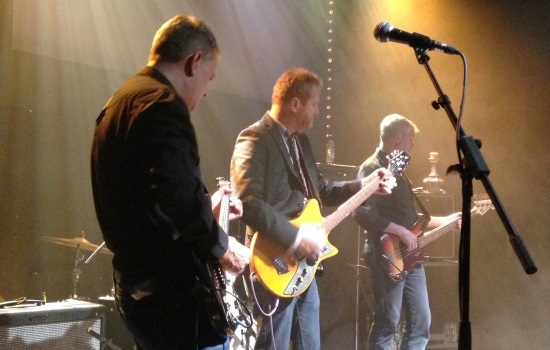 Tag Archive | "Camper Van Beethoven"
It is always a special thing when you see one of your all time favourite bands, it is made even more special when it is more than a decade since they last played in the UK. That time they played in the Queen Elizabeth Hall on the south bank, this time I’m seeing them in the less salubrious but more intimate Haunt in Brighton. 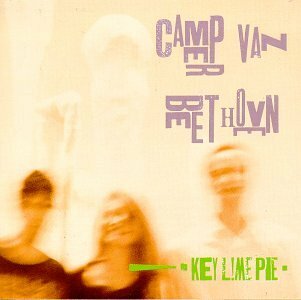 The name alone means that newcomers are likely to struggle with the concept of Camper Van Beethoven, and when faced by this group of graying musicians playing their unique mix of ska, pop, punk and country tunes it is not always an easy sell. To the initiated they are pretty much the perfect band, and this is as close to perfect as a gig can get. 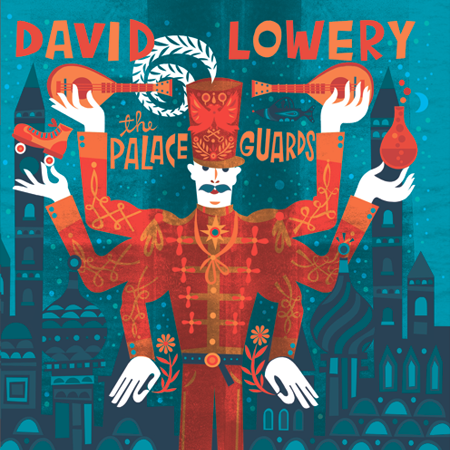 David Lowery is an unassuming front-man, and his vocals are not going to win any singing contests, but his songs and lyrics are wonderful and his delivery of them filled with just the right levels of pathos. The rest of the band are excellent as well, Victor Krummenacher’s wandering bass lines, Jonathan Segal’s close to the edge fiddle and Greg Lisher’s scorching lead guitar. The four veterans joined on drums by Cracker’s Frank Funaro, original drummer Chris Pederson now living in Australia. As a fan-boy you have the conflict of being spoilt for choice with the shear number of great tracks you’d like to hear and knowing that thney’ll never be able to play every one of your top choices. The band work through a long set that covers every period of their career and includes so many of their best songs that I’ll even forgive them for not playing ‘Sweethearts’, ‘We’re A Bad Trip’ or ‘That Gum You Like Is Back In Style’. ‘Waka’ opens the show, an instrumental track that throws in every kind of music from their repertoire in one pot gets away with it through force of personality. Second up is ‘Pictures of Matchstick Men’ the Quo cover that almost made them stars when released in the US in 1989. In fact both their “hits” are played tonight with ‘Take The Skinheads Bowling’ making a highly enjoyable appearance later in the set. It is difficult to pick out highlights, so good was the standard throughout, but I’ll never tire of hearing ‘All Her Favorite Fruit’ or ‘Seven Languages’ and to hear them played live is such a rare thing that it takes some beating. 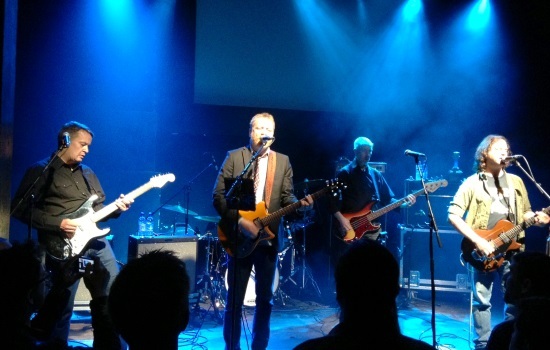 The band choose not to leave the stage for the standard encore routine, objecting to the fact that it wastes a song in the process. As a result they manage to fit in ‘Good Guys And Bad Guys’ and ‘Ambiguity Song’ at the end of the set, both songs as brilliant now as they were in 1986 and 1985 respectively. I understand that this is a bit of an impartial review, and one that is no good to you know that their UK tour is over. But if it makes one reader pick up one of their albums and fall in love with one of the world’s best bands, then that makes my job worthwhile. Maybe that person will be there in the audience with me in 2023. 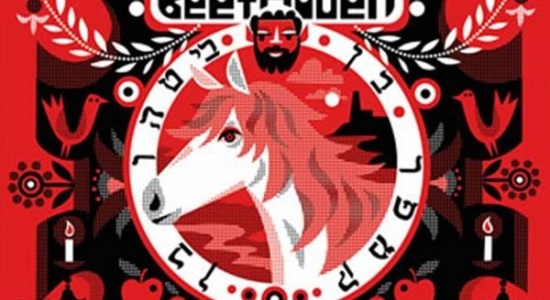 Since reforming for shows and recording back in 2002, after a 13 year hiatus, Camper Van Beethoven have not been prolific. After releasing a song-by-song recording of Fleetwoood Mac’s Tusk followed two years later by a proper new album, New Roman Times, they looked like becoming a live band only. Nine years later we see the product or a return to the studio with the release of La Costa Perdida, their homage to Northern California. Where New Roman Times was a dense political concept release La Costa Perdida is a light, airy melodic affair and certainly a more accessible first listen. ‘Come Down The Coast’ is gentle and melodic and light, it is a song that wouldn’t have sounded out of place on either of the band’s last two pre-split albums, unmistakably Camper Van Beethoven. ‘Two High For The Love-In’ is even better, adding that layer of oddness that marks the bad out from David Lowery’s other band, Cracker. It is also one of the two songs on the album that feature the full classic line-up of the band with Chris Pedersen on the drums. He also features on the albums title track, one of those country-ska tunes that no other band could play and get away with. ‘Northern California Girls’ sits at the album’s centre, and mixes a clear nod to the Beach Boys with the kind of beautiful melancholy sound that the band excels at, Greg Lisher’s crystal clear lead guitar and Jonathan Segal’s fiddle sounding as unique as ever. To the initiated it is a magical sound that you appreciate all the more for the rarity of which it is put to record. I’m a hug fan but stepping back and being objective I have to admit that there are a couple of tracks on the album that don’t quite work. ‘You Got To Roll’ is just a bit ponderous and seems to break up the mood of the album a little. ‘Peaches In The Summertime’ is another misstep, trying a little too hard to sound like the Camper Van Beethoven of old and not quite hitting the mark. Neither of these are bad songs, but they don’t fit so well on the album and have me reaching for the skip controls. Even though David Lowery has been busy during the last nine years, both with Cracker and solo, this is unmistakably a Camper Van Beethoven record. It is a nostalgic and affectionate album, and the band clearly still love playing together after all these years. Let’s hope that it isn’t another nine years before they get back in the studio again. We have been releasing this list ten at a time every Friday. Hope you enjoy this latest instalment. The rest of the Top 100 can be found here. Most critics site Daydream Nation as the best Sonic Youth album but Sister is just as good and marks the point where the band made the shift from being a cult act to being alt-rock superstars. ‘Scizophrenia’ opens the album in dour claustrophobic style and perfectly sets the mood. Second track ‘Catholic Block’ is full throttle thumping drums and full-on guitar riffing. One of the real strengths of the album is the way that it moves between slow, noisy, catchy, formless and rocky with such natural ease. This is the sound of a great band at the height of their powers and represents the best set of songs that they’ve (as yet) put on record. 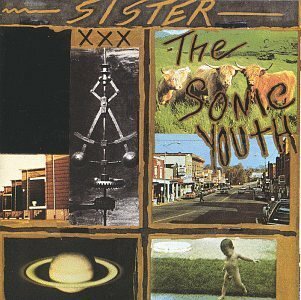 Sonic Youth are such a part of the alternative rock furniture now that it is sometimes easy to forget how influential and significant they were, listening to Sister is a perfect way to remember. 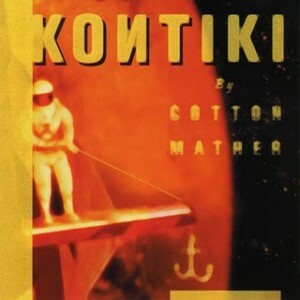 Austin, Texas, band Cotton Mather sounded like Squeeze, wrote songs like The Beatles and in front-man Robert Harrison had a lead singer who sounded like John Lennon. It’s little wonder the bulk of their critical acclaim came from the UK. Kon Tiki, from 1997, is our pick of their albums. You’d never know it was largely recorded on a four track as it takes in lush psychedelic rock, Beatles-esque harmonies and some of the best power pop of the day. Among our favourite tracks are ‘Vegetable Row’, ‘Spin My Wheels’ and ‘My Before and After’. So what became of the band that the NME once said was the best “guitar pop band since Supergrass” and Noel Gallagher invited to tour with Oasis in 1998? After failing to convert their critical success into commercial appeal they drifted apart and finally split in 2003. Thankfully Harrison continues to write and record with Future Clouds and Radar. Like Cotton Mather his new band has achieved similar critical success, but has so far failed to garner the commercial appeal Harrison’s talents so richly deserve. 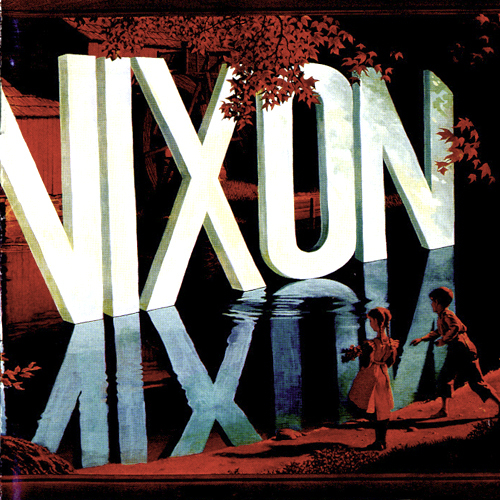 Nashville country-soul ensemble Lambchop had released six albums over a six year period when Nixon came out in 2000, but it was the first album that sold well enough (and got enough attention) to justify main-man Kurt Wagner giving up his day job. Through the albums ten tracks we are treated to Wagner’s best songwriting, lyrics that make sense but sound oblique all at once and a unique ear for melody.The instrumental arrangements and the playing are superb throughout with strings and horns supplementing the standard country rock instrumentation. The slightly odd production style and the use of atmospheric noise and textures also lift the album above standard alt-country fare. ‘Up With People’ is the best known song on the album, and it is a brilliant slice of pop perfection that builds beautifully and is genuinely uplifting. The other songs may be quieter in the most part, but they are subtle and brooding and brilliant. 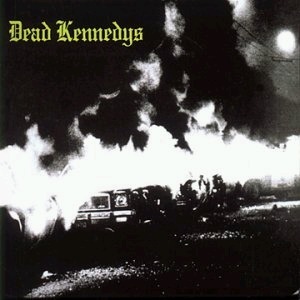 California punks Dead Kennedys weren’t just great musicians with a message, they were funny too. With his tongue firmly in his punk cheek charismatic lead singer Jello Biafra sets out to expose injustice and hypocrisy wherever he saw it on this the band’s 1980 debut. Whether it was the increasingly right wing policies in California (California Uber Alles) or US foreign police in Asia (Holiday in Cambodia) political song writing has rarely sounded better. They even find time to power out a storming version of the Elvis hit ‘Viva Las Vegas’. 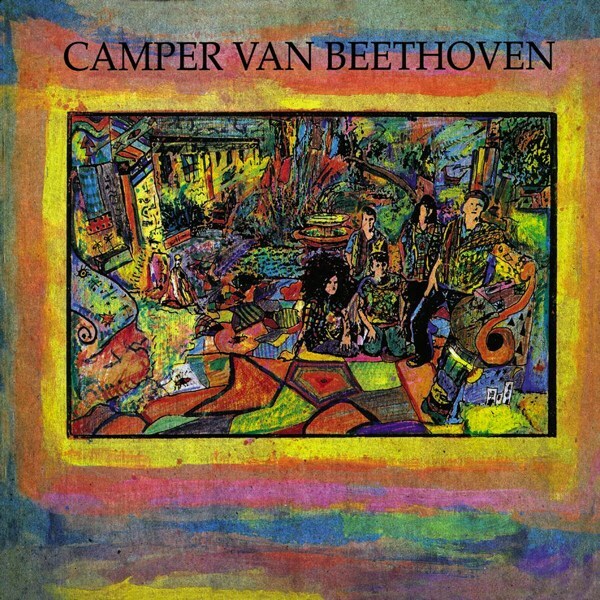 To some people this would seem an odd choice to pick from the Camper Van Beethoven discography; it is their most conventional album, and doesn’t feature founding member Jonathan Segal. However, it marks the greatest point of evolution in the bands songs and is their most satisfying album. With four albums behind them the band is a remarkably slick unit (especially considering their slacker origins) and David Lowery has never sounded more confident a vocalist than he does here. The songwriting is consistently strong, a set of vignettes showcasing a very literary, amusing and frequently touching lyrical style. ‘Sweethearts’ and ‘All Her Favorite Fruit’ stand up as among the best songs of their career and a cover of Status Quo’s ‘Pictures Of Matchstick Men’ was a surprise MTV hit. 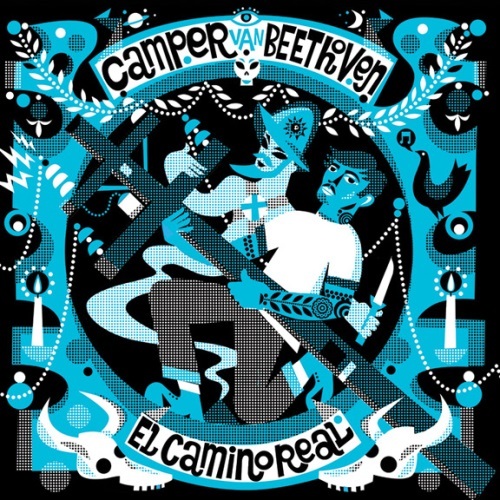 Read more about Camper Van Beethoven here. 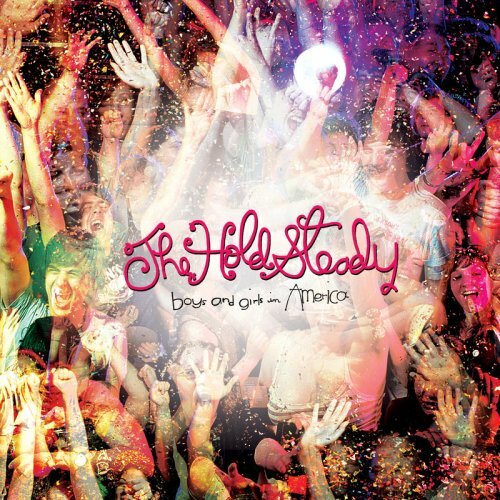 Listening to this 2006 album from The Hold Steady is exhausting stuff as the self proclaimed Number one bar band in America, lead by wordy lead singer Craig Finn, take you on their travels through gigs and parties across America. It’s a world of drugs and booze, some sadness, some madness and a whole bunch of interesting characters on an album that deservedly brought them to mainstream attention. From the killer opening guitar riff on ‘Stuck Between Stations’ through to final tracks ‘Chillout Tent’ and ‘Southtown Girls’ this is a fine example of how a band can really relate to the listener; it’s as if they are enjoying the album with you. For us this remains their best album, especially now as multi-instrumentalist and cheesy keyboard supremo Franz Nicolay has sadly left the band. 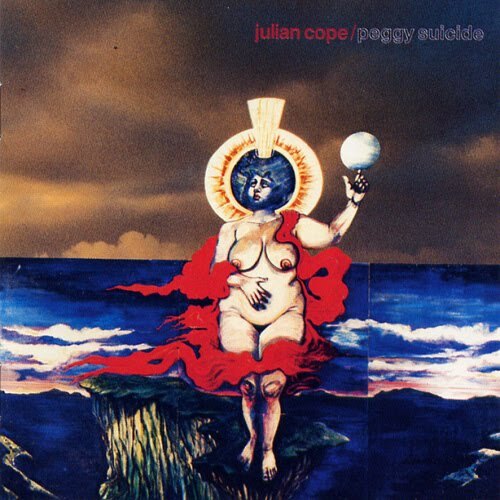 Julian Cope deserves better than to be remembered as a drug-addled crazy, sat atop a microphone stand spouting on about standing stones. He is one of pop music’s true eccentrics and his legend is fueled by his own stories and his musical retreat from popular songwriting. However, it would be a real shame to forget what a fantastic songwriter and performer he is, and Peggy Suicide is the best realised album in his back catalogue. Following on from his over-polished late 80s albums and the eccentric Skellington and Droolian it serves up a double album of tracks that combine the best of both eras. The 18 tracks flow perfectly from one to the next, managing to cover a breadth of musical ground without losing a coherent feel. Cope is in superb voice, his voice a much stronger instrument than he has been given credit for, and his band play the songs with a real verve. It is hard to pick out highlights from such a consistent set, but anyone who can hear ‘Beautiful Love’ and not feel happier for it must be in a pretty bad place. One of the most striking aspects of this 1990 debut from English band The Sundays is its simplicity. Just simple bass and drums allowing Harriet Wheeler’s wondrous vocals and the guitar work of her future husband David Gavurin to shine. You can almost tell they are a couple even on here as the vocals and guitars blend perfectly. This is guitar based indie pop music as it should be played and features some fine, typically English lyrics too. “England my country the home of the free…such miserable weather,” is among our favourites. 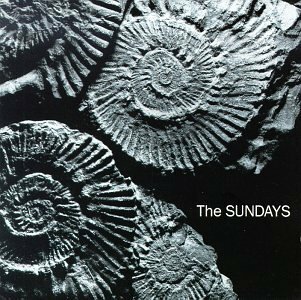 The album’s singles ‘Here’s Where the Story Ends’ and ‘Can’t Be Sure’ are among many highlights, but as with many of the albums in our Top 100 it is as a complete product that make this a stand out slice of indie pop. The band went on to further success with their next two albums Blind and Static and Silence but decided to call it a day in 1997. Wheeler and Gavurin, as far as we know did not continue in the music business. A sad loss. The Pixies stand as one of the most important bands of the late 1980s, their sound helping to define the alternative music scene through the early 1990s. 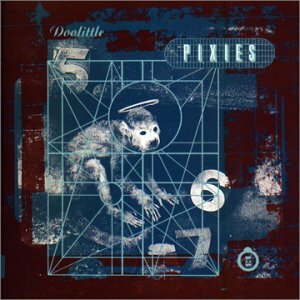 Doolittle is an album where everything just works perfectly, adding a pop perfection to the abrasive sonic elements that they had already displayed on their previous album Surfer Rosa. It kicks off with ‘Debaser’ which, along with the timeless pop of ‘Here Comes Your Man’, would be the soundtrack to many an indie disco for years to come. The album showcases just how many styles of music that lead singer Black Francis and co. were comfortable with, and it never becomes predictable or formulaic. ‘Dead’ is all evil sounds and erratic guitar, ‘Hey’ is the closest thing that the band released to a standard love song, and lyrically it strays far from any romantic formula. ‘Monkey Gone To Heaven’ may well be the best single of the band’s career, and shows what an interesting lyricist Black had become. Two albums later it was all over (until the inevitable reunion), but in 1989 this remarkable album was the sound of a band at the peak of their powers. 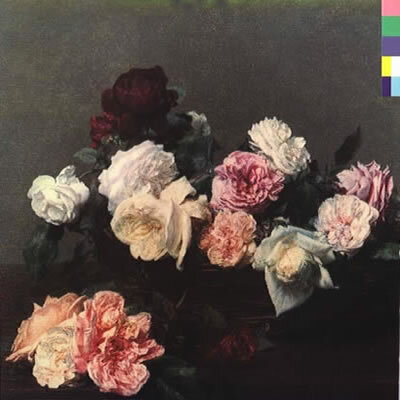 1981’s Movement may have been New Order’s first album, but it wasn’t until 1983 with the release of the single Blue Monday and their second album Power Corruption Lies that they successfully stepped out of the shadow of Joy Division. With Power Corruption Lies there were still nods to the downbeat electronic direction that Joy Division was heading in before the death of enigmatic front man Ian Curtis and they became New Order. ‘We All Stand’ and ‘586’ certainly follow this path. But the bulk of the album is upbeat and pop savvy, showing the dance influences that would shape the band’s music for much of the decade to come. ‘Age of Consent’ and ‘The Village’ are among the most beautiful guitar and synth pop tracks you will ever hear and among our highlights on this great introduction to the Manchester band. Here’s the second part in our list of bands that changed our lives. These are more than just our favourite bands, these are bands that altered how we think about music and provided the soundtrack to our lives. 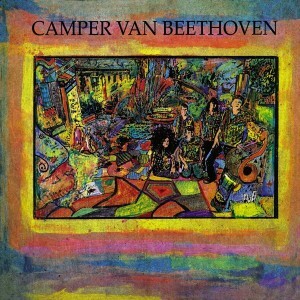 I don’t remember exactly what the first Camper Van Beethoven record I heard was. I think it was either the song ‘Seven Languages’ (from the beautifully titled Vampire Can Mating Oven EP) or the final album before the band split up Key Lime Pie. What I do know is that it wasn’t ‘Take the Skinheads Bowling’, the closest thing the band had to a hit. It would have been in early 1990 the year that the band was supposed to come and play in my home town, Brighton, but broke up before the end of the tour. I was disappointed that the amazing band I had just discovered had split up sure, but this was tempered somewhat by the fact that I had found a band that matched my musical tastes so closely. There was humour in the music and as wide a variety of styles as I’d ever heard from one band. Country, punk, psychedlia, pop, ska, folk and even waltzes getting outings on their albums. They formed in California in 1983 and released their first album, Telephone Free Landslide Victory, in 1985. Various musicians spent short stints with the band but the core of vocalist/guitarist David Lowery, bassist Victor Krummenacher, guitarist Greg Lisher, drummer Chris Pedersen and multi-instrumentalist Jonathan Segal recorded the bulk of their music and are all involved in the band today. The band is seen by most people (out of the relatively small group that have heard of them) as being a bit of a novelty act, largely due to the success of Take the Skinheads Bowling. It is a great song and has been covered by (amongst others) Teenage Fanclub and the Manic Street Preachers, as well featuring in the film Bowling for Columbine. Delving deeper into their catalogue reveals a band of real depth and quality, in terms of song writing as well as performance. David Lowery is my favourite lyricist, and his lyrics got better and better throughout the bands career. He is a master at producing clever and witty lines, but can also break your heart or make an astute political point as well, often all in the same song. The playing on the early albums can be loose and lo-fi in places, but always fits the songs perfectly and is never less than inventive and spirited. The two albums that the band recorded for Virgin are much slicker better produced affairs, but retain the essential adventurous spirit of the band. The final album before they split still stands out for me as their greatest achievement (despite Jonathan Segal having left the band) featuring Lowery’s finest compositions including ‘Sweethearts’ which may well be the greatest song they ever recorded. When the band split the various members kept busy for the following decade. Lowery formed Cracker as well as playing on and producing other artists, including most of the first Sparklehorse album. Segal recorded solo records and also played with Sparklehorse as part of the touring line-up. Krummenacher, Lisher and Pedersen recorded as the Monks of Doom and recorded with Eugene Chadbourne under the name Camper Van Chadbourne. The band got back together in 2001, and recorded a version of Fleetwood Mac’s Tusk as a test of whether they could play together again. In 2004 they released their first album of new material for 15 years, New Roman Times, a brilliant concept piece about a Texan becoming disenchanted with his time in the military and becoming a terrorist. It was one of those rare moments when a band could come back together after such a long break and pick up right where they left off. I was lucky enough to see the reunited band at London’s Queen Elizabeth Hall in 2003, fulfilling my dream from 13 years earlier. The band were older, greyer and heavier than when they broke up, but proved that they could still play the songs superbly, and the set-list was worth the wait. No albums have come out from the band for the last 6 years, but they still play gigs regularly and I’ll just have to wait patiently for them to come to the UK or get back into the recording studio. If you would like to hear these songs (and a bundle more) I have put together a Spotify Playlist. If you would like to pick up any of their albums your best bet is to get the Cigarettes and Carrot Juice box set. It contains the first three albums, the Camper Vantiquities rarities collection plus a live disc composed mainly of tracks from the two virgin albums. The two Virgin albums are essential buys as well, and the reformation album, New Roman Times, is a sensational comeback. If you just want to dip in, then the best-of collection, Popular Songs, is an excellent selection, although all songs from the Virgin era have been rerecorded specially. Only completists need venture near their cover of the entirety of Fleetwood Mac’s Tusk, or the patchy Camper Van Beethoven is Dead oddities collection.